At first glance the term Christian scholar may sound like an oxymoron. Can these two words really be placed together? Some may say no and argue that academic study belongs to non-Christian minds only. Several years ago, while studying for my bachelor of arts in history at the University of the Philippines in Quezon City, one of my history professors—who was an unbeliever—told me that an argument based on Scripture is not academic. In other words, he wanted me to engage in dialogue with him not as a Christian but as a secular thinker. My professor was implying that an intellectual cannot be Christian, for to argue from a Christian worldview is not scholarly or valid. Others may reply no to my question but provide a different explanation for their opinion. They may say that Christians should not be scholars because scholarship and spirituality are incompatible. Some people associate intelligence with arrogance; thus, the more intelligent or educated you are, the more you will be perceived as proud. I have met people who espouse this kind of mentality. They hastily view those who appear to be very smart as certainly proud, implying that to be intellectual entails being arrogant. Of course, this claim is not necessarily true. Just because a person is intellectual does not mean one is haughty, just as not being intellectual does not mean one is humble. In fact, I know many Christian intellectuals whose lives are marked by humility. Nevertheless, a sad reality remains that some prematurely think of intellectuals as boastful and thus implicitly conclude that Christians should not aspire to be scholars. In this brief essay, I will maintain that the words Christian and intellectual are compatible with each other. In the first place, all Christians without exception are divinely commanded to use their intellect as they love God: “You shall love the Lord your God with all your heart and with all your soul and with all your mind” (Matt. 22:37). In this verse the Greek word dianoia, translated as “mind,” refers to the faculty of thinking and understanding. The point is this: loving God requires the exercise of our intellect; it involves mental effort. Yet our ability to think and to know God is a divine gift: “And we know that the Son of God has come and has given us understanding, so that we may know him who is true” (1 John 5:20). Hence, if we are able to know God, who is the embodiment of truth, it is because he has graciously given us understanding or dianoia, translated “mind” in Matthew 22:37. In light of the passages just quoted, we can then aver that all true Christians are intellectual. That is, they all have the gift of dianoia; they possess the God-given intellect for the purpose of understanding and knowing God’s truth. Yet not every Christian has been divinely called to an academic vocation. In this sense, not all Christians are intellectuals, if by that term we mean people whose work is academic in nature—fields such as teachers, researchers, or writers. For instance, not everyone is a teacher within the body of Christ. This one body has many members, but as Paul says, “the members do not all have the same function” (Rom. 12:4). Therefore, he adds, “Having gifts that differ according to the grace given to us, let us use them: if prophecy, in proportion to our faith; if service, in our serving; the one who teaches, in his teaching; the one who exhorts, in his exhortation; the one who contributes, in generosity; the one who leads, with zeal; the one who does acts of mercy, with cheerfulness” (Rom. 12:6–8). Paul speaks indiscriminately of pastors and teachers as belonging to one and the same class, and that the name teacher does, to some extent, apply to all pastors. But this does not appear to me a sufficient reason why two offices, which I find to differ from each other, should be confounded. Teaching is, no doubt, the duty of all pastors; but to maintain sound doctrine requires a talent for interpreting Scripture, and a man may be a teacher who is not qualified to preach. Pastors, in my opinion, are those who have the charge of a particular flock; though I have no objection to their receiving the name of teachers, if it be understood that there is a distinct class of teachers, who preside both in the education of pastors and in the instruction of the whole church. What Calvin called doctors we would today call seminary professors or theological instructors. These people can rightly be described as Christian scholars. Of course, other groups of people can be considered as Christian intellectuals (or perhaps more accurately as intellectuals who are Christians), such as Christian scientists, engineers, medical doctors, and lawyers. But for brevity’s sake, in this article I will focus only on seminary teachers as Christian scholars and provide four assertions about their academic vocation. Portrait of John Calvin (1509–1564). Photo by Ruben de Heer. First, to be a seminary professor is a divine calling. In his wisdom, God has been pleased to call some members of the body of Christ to become teachers (Rom. 12:7; 1 Cor. 12:28). Since this calling comes from God himself, it is sacred and should thus be received with solemnity. Also, considering that this calling comes with great responsibilities, teachers should be willing to endure hard work. Yet seeing that the God who has called them will also sustain them, they should be encouraged to persevere amid difficulty. Moreover, the fact that God has given them the gift of teaching based on his grace should humble them and cause them to thank and praise God for this gift (Rom. 12:6). They should remember that the very intellect they have is a gracious gift from above. If they are able to teach others, it is because of God’s grace bestowed on them. Therefore, they should never think highly of themselves, as though they are more important than their students or other members of the body of Christ (Rom. 12:3; 1 Cor. 12:21–26). What distinguishes Christian intellectuals from other believers is nothing but one product of God’s grace. Consequently, true Christian scholars should be marked by humility rather than haughtiness and by piety rather than pride. Third, seminary teachers are Christ’s gifts to his church: “And he gave the apostles, the prophets, the evangelists, the shepherds and teachers, to equip the saints for the work of ministry, for building up the body of Christ” (Eph. 4:11–12). Here the word gave carries the idea of bestowing as a gift. So the Lord bestows all these offices as gifts on his people. In response, the church should thank God for these blessings and take good care of them. I sometimes wonder whether we truly view our professors as blessings from God. When was the last time we thanked God for them? When was the last time we appreciated them? Remember, they are precious and undeserved gifts given for our well-being. Finally, seminary teachers serve under Jesus, the head of the church. Ultimately, their boss is not the seminary president but Christ. They obey the board of trustees insofar as these trustees follow the Lord. They are therefore first and foremost servants of Christ, who has called them to be faithful scholars. In all they do, their grand goal as intellectuals is to glorify their master and advance his kingdom. As James W. Sire says, “Christian intellectuals are those whose intellectual lives are lived to the glory of God.” I pray that our seminary professors will indeed be known as Christ-exalting people who seek to help their students become more like Jesus. If our theological teachers (or seminaries in general) do not lead us closer to Christ, something is seriously wrong, for in the final analysis they exist for the good of the church and for the glory of our Lord Jesus Christ. Unless otherwise indicated, all Scripture quotations are from the English Standard Version (ESV). T. H. L. Parker, John Calvin: A Biography, rev. ed. (Louisville, KY: Westminster John Knox, 2006), 109. John Calvin, Commentaries on the Epistles of Paul to the Galatians and Ephesians, trans. William Pringle (Grand Rapids, MI: Baker, 1996), 21:279–80. Matthew Poole, A Commentary on the Holy Bible (Peabody, MA: Hendrickson, 1985), 3:672. James W. Sire, Habits of the Mind: Intellectual Life as a Christian Calling (Downers Grove, IL: InterVarsity Press, 2000), 105. John Calvin recognized that the central theme of the Bible is the glory of God and this understanding impacted every aspect of Calvin’s understanding of the Christian faith. For Calvin, God’s glory is displayed in sovereignly governing all things. The objection inevitably arises that if God is sovereign, then prayer is superfluous or unnecessary. One might expect that in light of Calvin’s understanding of God’s sovereignty, the topic of prayer would receive little attention in the Reformed theologian’s work of the Institutes of the Christian Religion. Calvin, however, devoted over a hundred pages in the Institutes to this single topic, making it the single largest subject dealt without throughout the eighty chapters of the Institutes. For Calvin, prayer was anything but unnecessary. Calvin’s treatment of prayer was a consistent outworking of the theological convictions that he embraced with regards to the sovereign rule of God and the depravity of man, but it was with a pastoral concern that caused Calvin to write about the exercise of prayer in the Christian’s life. In other words, Calvin addresses the question of why to pray by showing practically it’s necessity as well as the benefits that result from it. Calvin’s treatment of prayer looks at the need for prayer, the basis for prayer and practical guidelines that should govern prayer life. The essay is by Peter Aiken, an M.Div. student at Puritan Reformed Theological Seminary, Grand Rapids, Michigan. To keep reading his paper, click here. David Hall, Tributes to John Calvin : A Celebration of His Quincentenary (Phillipsburg N.J.: P & R Pub., 2010), 344. John Calvin’s Institutes have earned him the title of “the preeminent systematician of the Protestant Reformation.” His reputation as an intellectual, however, is often seen apart from the vital spiritual and pastoral context in which he wrote his theology. 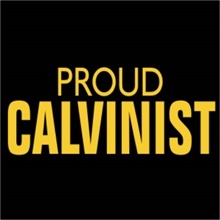 For Calvin, theological understanding and practical piety, truth and usefulness, are inseparable. Theology first of all deals with knowledge—knowledge of God and of ourselves—but there is no true knowledge where there is no true piety. Calvin’s concept of piety (pietas) is rooted in the knowledge of God and includes attitudes and actions that are directed to the adoration and service of God. In addition, his pietas includes a host of related themes, such as filial piety in human relationships, and respect and love for the image of God in human beings. Calvin’s piety is evident in people who recognize through experiential faith that they have been accepted in Christ and engrafted into His body by the grace of God. In this “mystical union,” the Lord claims them as His own in life and in death. They become God’s people and members of Christ by the power of the Holy Spirit. This relationship restores their joy of fellowship with God; it recreates their lives. The purpose of this chapter is to show that Calvin’s piety is fundamentally biblical, with an emphasis on the heart more than the mind. Head and heart must work together, but the heart is more important. After an introductory look at the definition and goal of piety in Calvin’s thinking, I will show how his pietas affects the theological, ecclesiological, and practical dimensions of his thought. The article is by Joel R. Beeke, president and professor of systematic theology and homiletics at Puritan Reformed Theological Seminary. He is also a pastor of the Heritage Netherlands Reformed Congregation, Grand Rapids, Michigan. Serene Jones, Calvin and the Rhetoric of Piety (Louisville: Westminster/John Knox Press, 1995). Unfortunately, Jones exaggerates Calvin’s use of rhetoric in the service of piety.